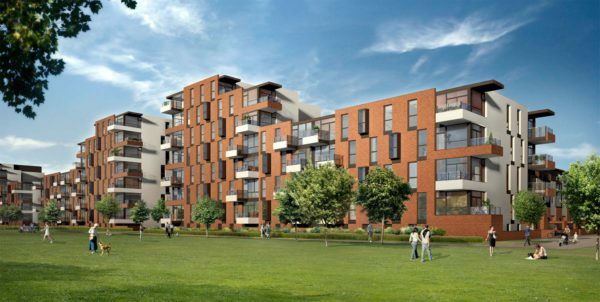 Replacing a failed 1960’s housing estate, this was the first phase of a major regeneration project at Kidbrooke in Greenwich. 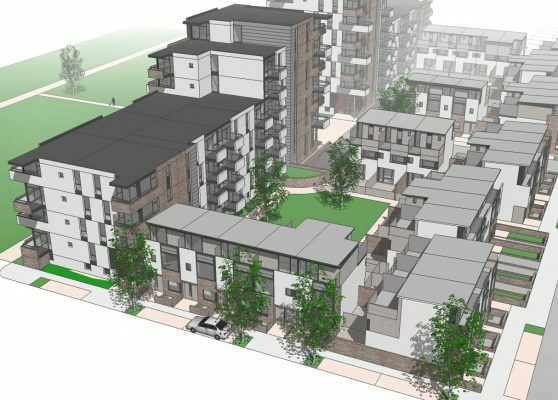 Our proposal comprised approximately 460 new-build apartments and houses in a parkside setting. The project built on our Sustainable Suburbia research by proposing a high proportion of family units within an overall density of 120 dwellings per hectare. A diverse mix of tenure types was proposed to be evenly distributed across the development, unified by a coherent urban structure and sharing a common architectural language. The project aimed to meet high environmental standards, utilising centralised combined heat and power generation to meet London Plan renewable energy targets and achieve a minimum level 3 under the Code for Sustainable Homes. Other features of the proposal included on-site surface water attenuation and domestic water conservation initiatives. Amenities such as public transport, primary and secondary schools, and a supermarket are all located within 5-10 mins walking distance. Created ‘green fingers’ which help extend the park into the development.